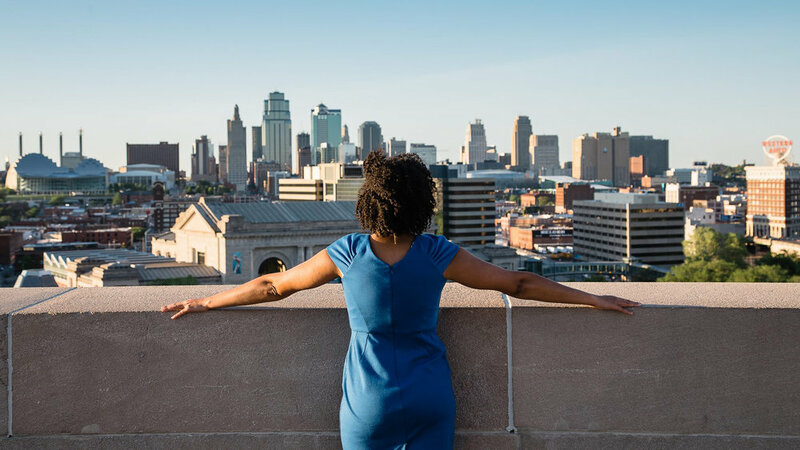 Women in Urbanism: Kristen Jeffers Addresses a Glaring Representation Gap with "The Black Urbanist"
Every urbanist has a story that helps shape the passionate person they become over time. A lived experience that impacts their decisions and the path they choose to follow; one to which many in the community can relate. While we’re all working towards the goal of equity on our streets and in our cities, there are those who don't see themselves in the textbooks, editorials, and photographs representing the movement. Simply put: urbanism is pretty damn white. That lack of representation is exactly what Kristen Jeffers—an urban planner, advocate, and editor-in-chief at The Black Urbanist—is aiming to change through her writing and activism. While her interest in urban design started much earlier, the recognition of a lack of diversity came during her first semester of graduate school. Leafing through her urban politics textbook, she found herself thinking, “This is different from my own experience." It seemed that while many books talk about the triumphs and challenges of city building, very few contain an accurate depiction of what many in the black community experience. "Every black person in the city wasn’t just relegated to public housing," explains Jeffers. "And when they were, why did that happen? Why did certain cities do certain things? Do enough people understand our federal system in the United States? 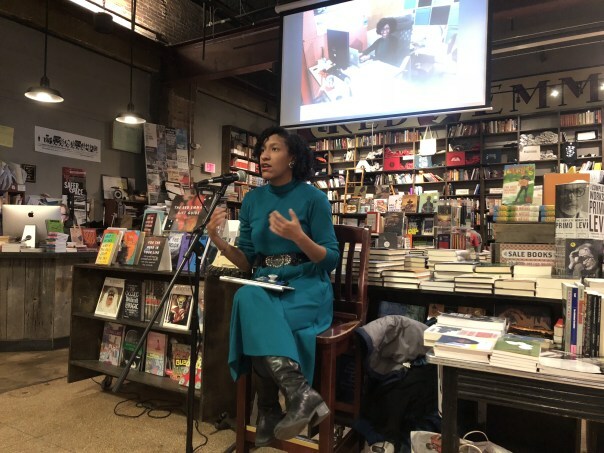 And that because of our Constitution, cities and states are independent and can do almost anything they want, good or bad, unless they are challenged?” Thus began The Black Urbanist: an opportunity for Jeffers to write the story—her story—better. Jeffers grew up in a loving home in North Carolina. She remembers accompanying her mom to the grocery store, noticing how strange it was that they had to drive there due to a lack of shops they could walk to in her neighbourhood, not that walking was much of an option with the lack of sidewalks. She also recalls her father bringing home maps from one of his delivery jobs, laying them out of the floor and tracing out routes with toy cars, learning early on how systems of movement are connected to move people through cities. Jeffers does not shy away from speaking about her childhood, and feels it's important for people to understand where she came from and how that informs her actions. Before his crash, Jeffers parents divorced, and her mother bought a home in a modern suburb. Her father kept her childhood home, where he lived until he passed away in 2013. Having the memories of living in both a small urban home near to senior public housing and a dense community, as well as a more spacious, suburban environment, she understands the value of investment in both types of communities. "Connectivity was harder where my mom lived," Jeffers admits, “But it’s a home, it’s our home, and it was a place I was able to go back to when I graduated and where I started this project.” She is quick to point out that her intention is never to slam the suburbs, and affirms the thinking of Ellen Dunham-Jones, who says we cannot abandon these landscapes. "They've offered homes and an ability to survive. This is still a capitalist society, and in a lot of way, owning property is a way to survive." "There’s a Lot That We’ve Had to Overcome"
Since graduating, Jeffers has worked in a number of cities, but it was a move to Washington, DC that would start connecting her to many of the urbanists she had only been reading about online. “I need to be here, at least to learn from people how to start policy advocacy groups, and how to shift my brand and work to that,” she explains. “I just really want to be advocating, especially to at least publicize what’s happening, particularly in the black community." Sharing the stories of people of colour in why she started her blog in 2010, and more recently, her online radio show, and she emphasizes that hers a platform not just for her own experiences but also for her colleagues in the black community, inviting anyone who wishes to write about black urbanism to contribute. She clarifies that ultimately she just wants more education around policy issues that can help or hurt people on a daily basis, and feels like there are a lot of people that focus on education, a lot of people who focus on housing, but there’s not as many, especially women and women of colour focusing on the transportation space. That is slowly changing, but she's still met a lot of people that feel uncomfortable speaking out. Those are the people that are happy that Jeffers and The Black Urbanist exist. “I want to have deeper conversations with people in the black community who have a deeper connection to the African diaspora,” she expands. On her radio show, while she gives time for many in the black community working to improve cities for people of colour, she aims to host individuals working outside of urban issues: policy writers, architects, artists; essentially anyone who has something to say about how our cities are built. Even those who may not agree with her point of view.